Mary spent several years in the graphic arts field before moving on to watercolors as her media of choice. 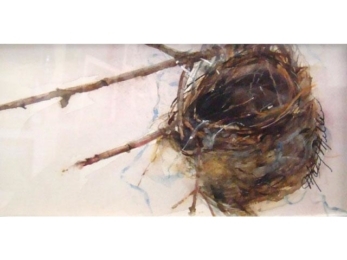 She is known for her landscapes painted in Erie as well as Monhegan Island, Maine. Her work has been featured in many juried shows, including Panorama and the Campbell Pottery Lily Festival Show. 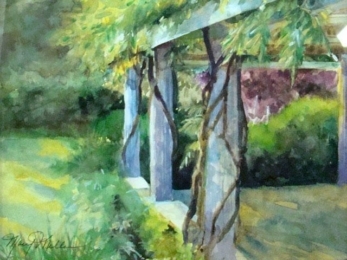 In The Garden Niagra On The Lake, Watercolor, 10x8"
A Cozy Nest, Watercolor, 8x4"